Does Doctors Without Borders Deserve an Independent Probe? The October 3 airstrike on a Doctors Without Borders hospital in Kunduz, Afghanistan, carried out by the US, left 42 civilians dead and thousands of Afghans without access to emergency medical care. The United States — often first in line to call for independent investigations of the actions of others — is blocking efforts to mount an international inquiry into the devastating raid. Exhibit A of the US double-standard on accountability: the Obama administration’s reaction to the July 2014 downing of a Malaysian airliner over territory controlled by “Russian-backed separatists” in eastern Ukraine. Referring to that tragedy, President Obama said, “[A]mid our prayers and our outrage, the United States continues to do everything in our power to help bring home their loved ones, support the international investigation, and make sure justice is done.” He also condemned the “separatists” for interfering with the crash investigation and tampering with evidence. But that was when the Russians and their allies were the suspects. In the wake of the Afghan hospital bombing, the US has insisted it has the ability to investigate itself impartially, a claim Doctors Without Borders (Médecins Sans Frontières, or MSF) strongly rejects. 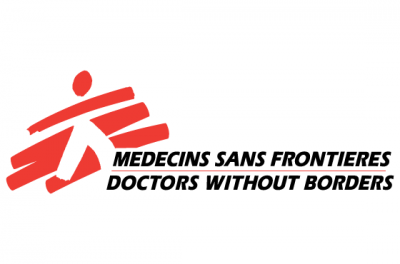 Supporting the MSF position is the fact that the official US story has changed numerous times. US forces first claimed the airstrike was carried out “against individuals threatening the force,” and that the nearby hospital was only collateral damage. In response, MSF said “the main hospital building, where medical personnel were caring for patients, was repeatedly and very precisely hit during each aerial raid, while the rest of the compound was left mostly untouched,” suggesting the strikes were not a mistake. Local Afghan forces attempted to justify the attack on grounds that Taliban fighters shot at US and Afghan forces from the hospital. The MSF categorically denies this, saying that the Afghan statement “amounts to an admission of a war crime.” Hospitals are protected under laws of war. The differing accounts of what happened that day only underscore the need for an independent, impartial body to conduct an investigation. The US military completed its internal investigation in November. In contrast to earlier US statements, the latest report does not claim the bombing of the hospital was collateral damage inflicted while protecting US troops under fire from the Taliban. Instead, the report says that US forces intended to strike a nearby building where they believed insurgents were taking shelter, but that “human error, compounded by systems and procedural failures“ resulted in US forces striking the MSF compound instead. The communications systems malfunctioned, and personnel requesting and executing the strike “did not undertake the appropriate measures to verify that the facility was a legitimate military target,” said General John Campbell. However, the United States and Afghanistan are unlikely to give their consent, as they would prefer their own investigation to be accepted as definitive.